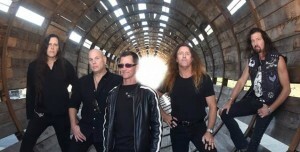 Hard rock titans Metal Church have announced the track listing and unveiled the cover artwork for their latest album ‘XI’, due for release on March 25th via Nuclear Blast. The band’s 11thstudio release also marks the return of legendary vocalist and front man Mike Howe. You can now pre-order the ‘XI’ Limited Edition 2LP Red Vinyl and CD/T-Shirt Bundle. 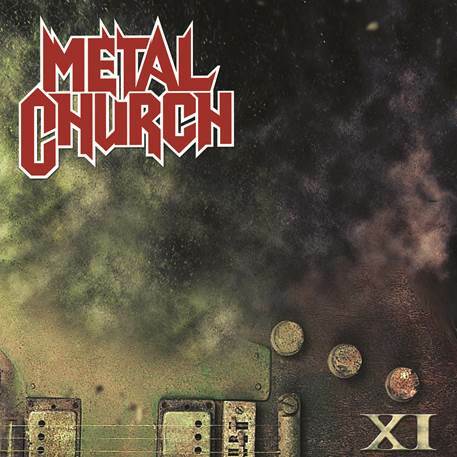 From the first guitar riff of album opener ‘Reset’ through the driving outro of album closer ‘Suffer Fools’, it is clear that Metal Church is back and better than ever. ‘Needle and Suture’ and ‘Soul Eating Machine’ showcase the song writing that made the early Mike Howe albums ‘The Human Factor’, ‘Blessing In Disguise’ and ‘Hanging In The Balance’ such fan favourites. 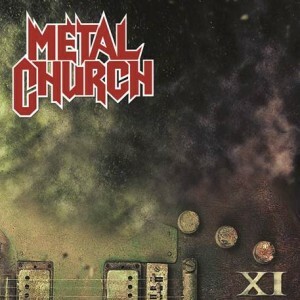 Musical opuses ‘Signal Path’ and ‘Sky Falls In’ clock in at over 7-minutes each and put the musicianship that Metal Church was known for on full display in 2016.